In the carpet cleaning industry there are trends that come and go. When professional carpet cleaning became a popular thing carpet cleaners started out using soaps and detergents to clean carpets. The machines were powerful but not as powerful as they are today and portables were also the most common way to clean carpet. In the late 90s these trends began to change. More and more carpet cleaners started using truck mounted machines that are powerful. Depending on the power you can even use these machines to power wash concrete. Portables are still used today but only by a handful or carpet cleaners. Portables cannot get as hot as a truck mounted machine and cannot clean as well. However, there are certain situations that may require a portable like tower buildings and apartments. Carpet cleaners also realized that using soap and detergent was not the best method. These products leave residue in the carpet and cause the carpet to get dirty quicker. 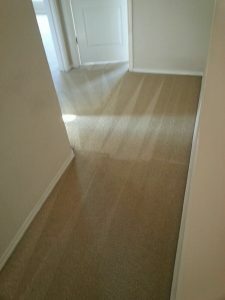 Beyer Carpet Cleaning has kept up with the latest trends. They use truck mounted equipment that heats up 210 degrees. This ensures that your carpets will be sanitized and all dust and allergens will be removed. Beyer also doesn’t use soap when it comes to carpet cleaning and upholstery cleaning. They only use enzymes and emulsifier solvents. These solvents insures the best clean by removing at least 95% of spots and stains. The solvents also don’t leave any kind of residue in the carpet so your carpets will stay cleaner longer. Beyer also has 150 feet of hoses so they can reach all rooms in your home and most apartment units. Beyer Carpet Cleaning believes in only using the latest and greatest in carpet cleaning so the customer receives the best clean. Along with keeping up the times Beyer Carpet Cleaning offers fair and affordable prices for their cleaning. So every time you are needing a carpet cleaner it is best to make sure they are using the latest in carpet cleaning. This will ensure you receive the best clean for your money and that your carpets will look great!